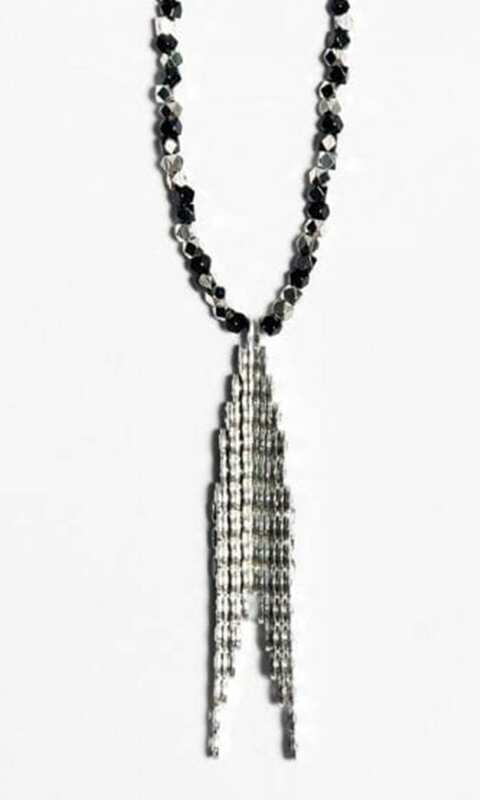 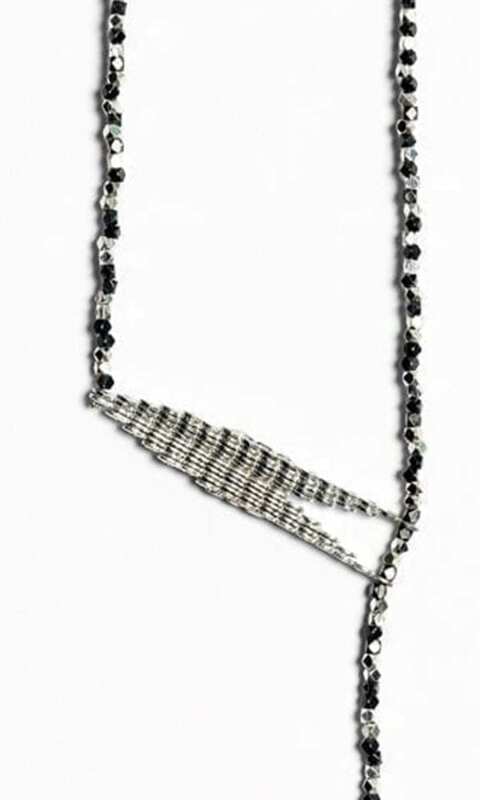 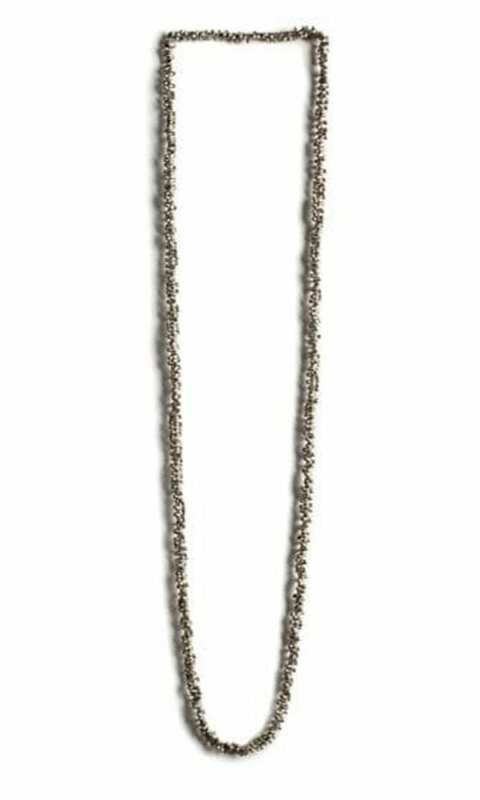 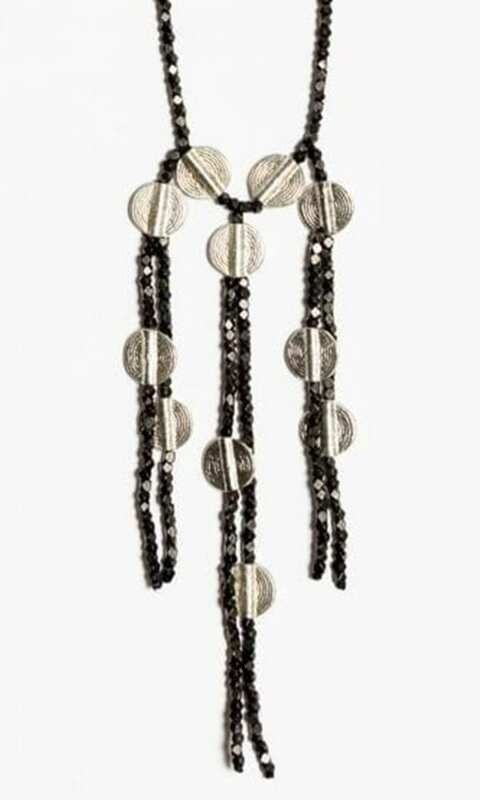 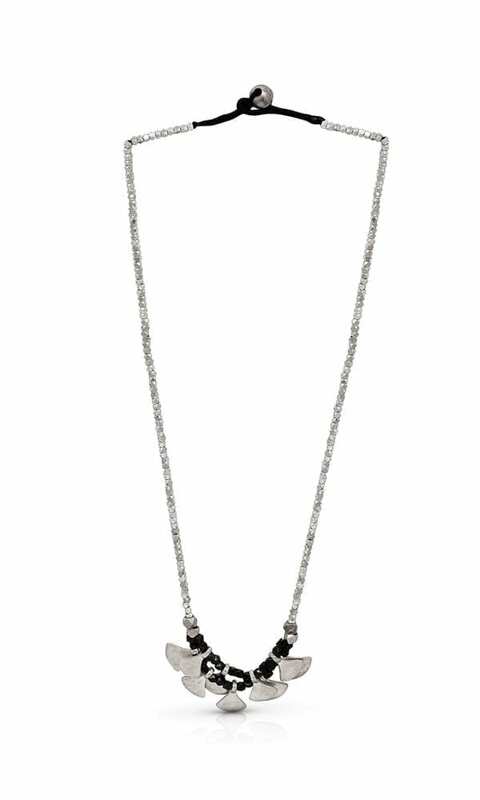 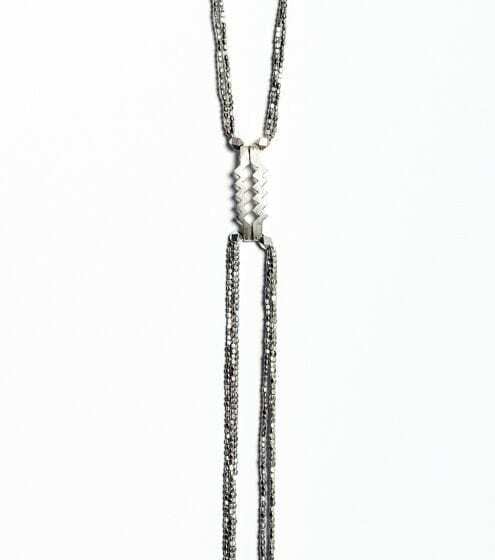 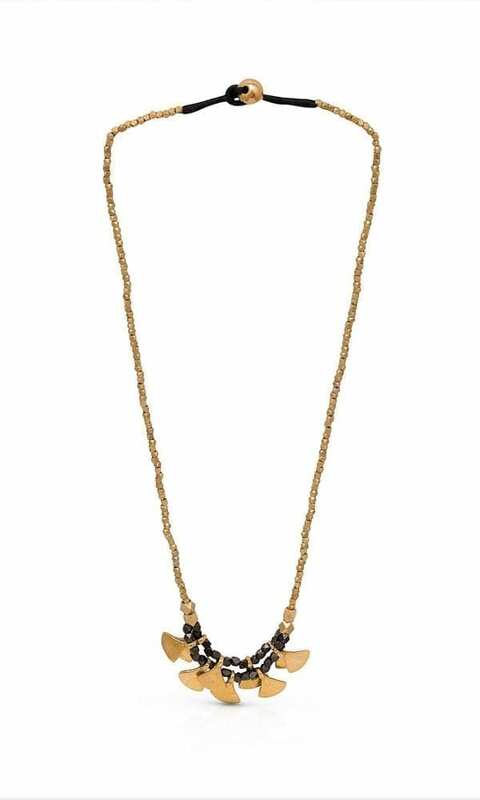 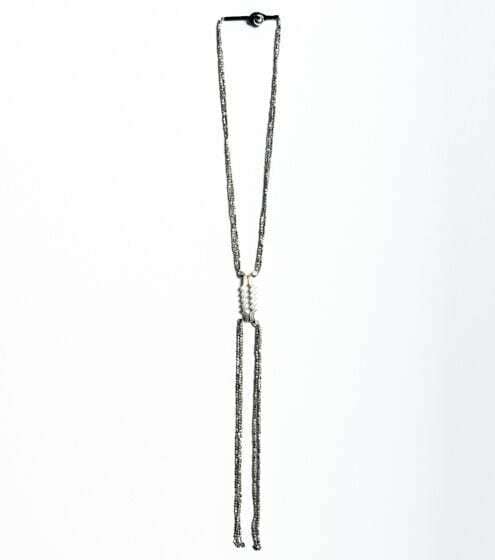 Riki Necklace – A short fringe necklace with a geometric motif. 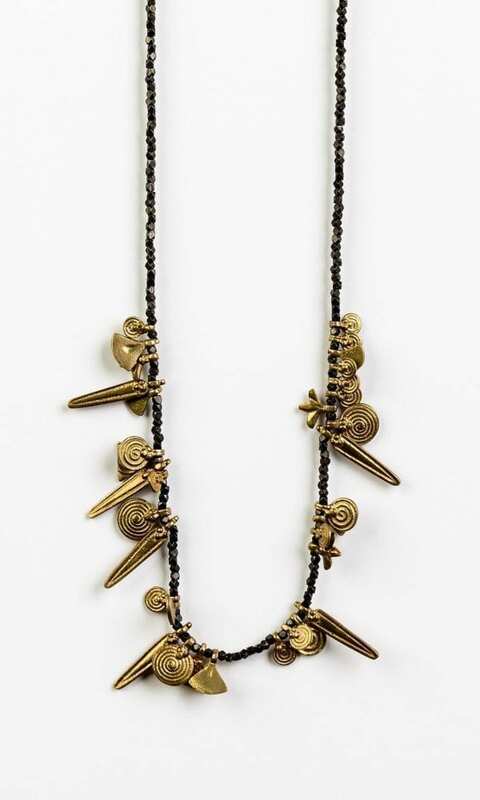 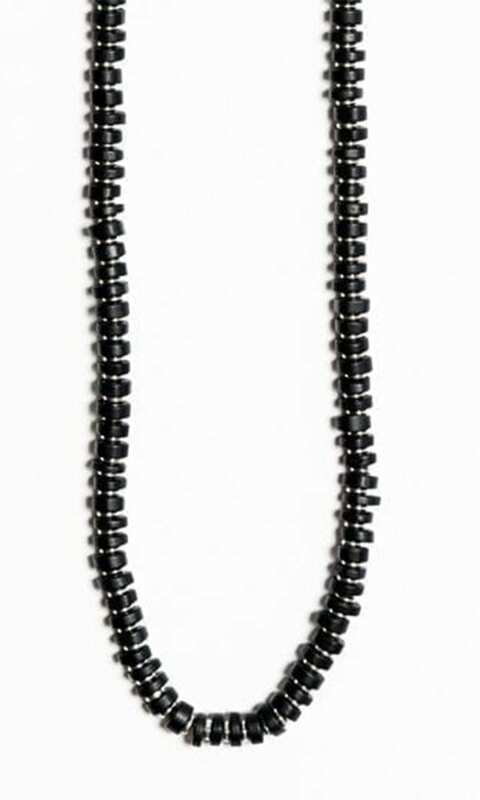 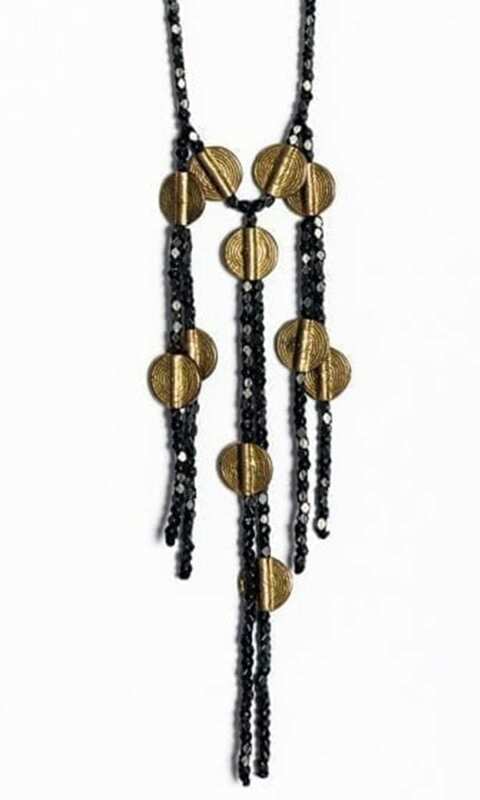 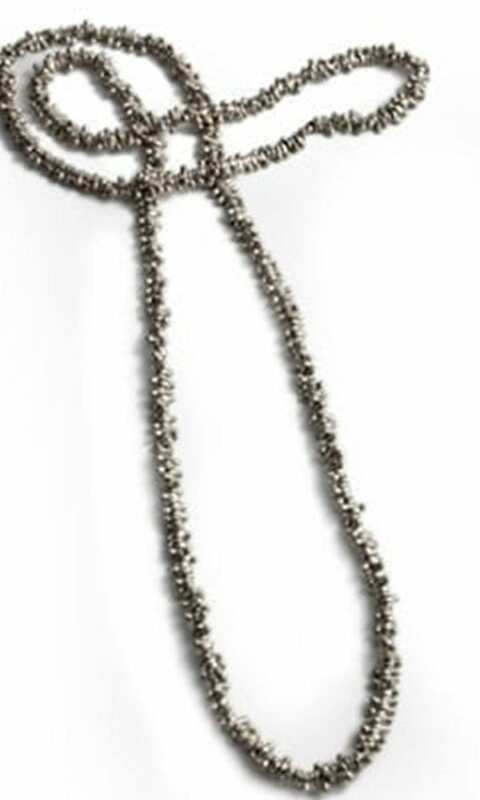 The sophisticated mix between minimalist contemporary design and ethnic inspiration come together to make a beautiful necklace, one you can also combine with casual clothing or layer with similar styles. 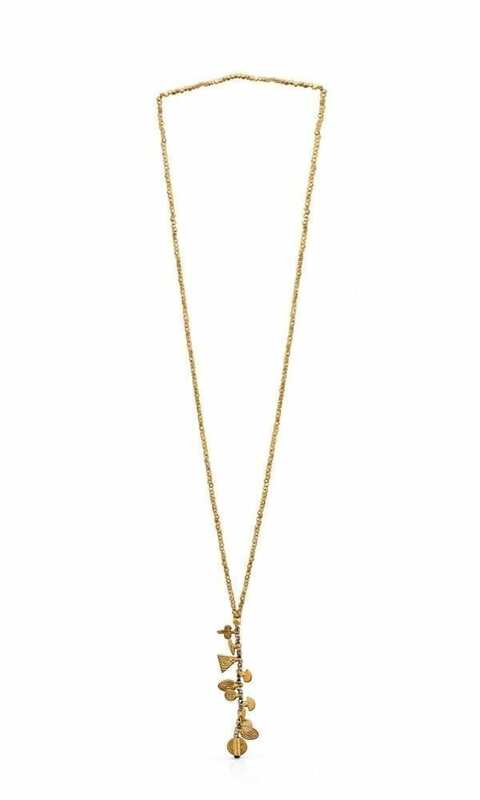 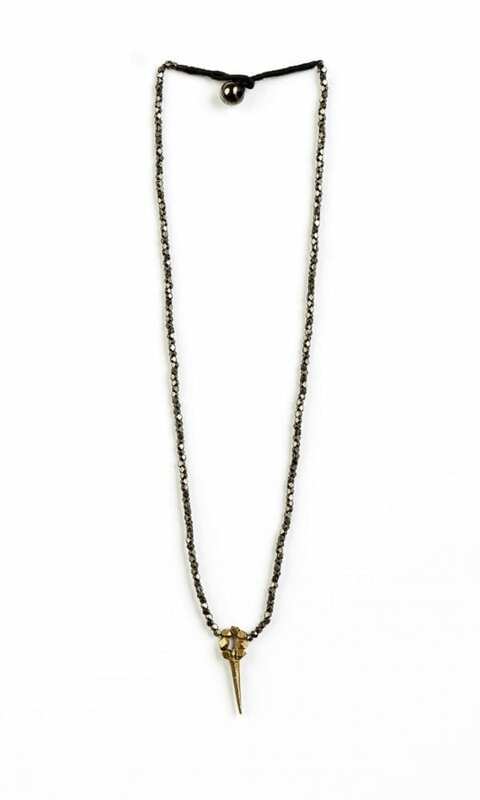 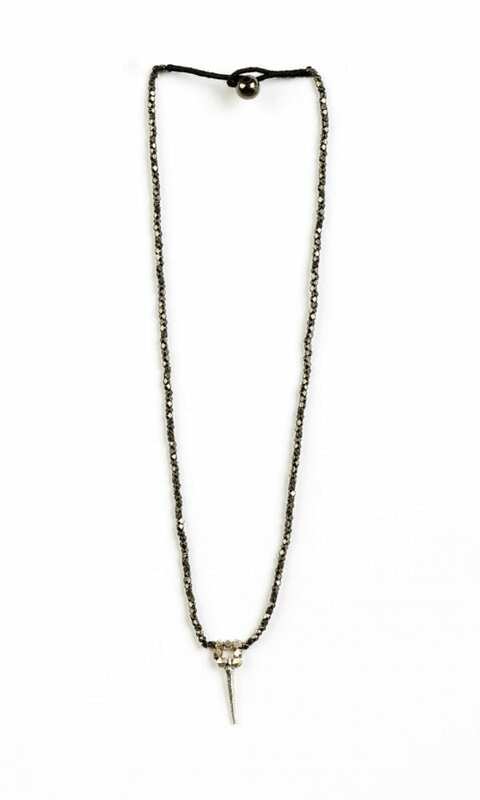 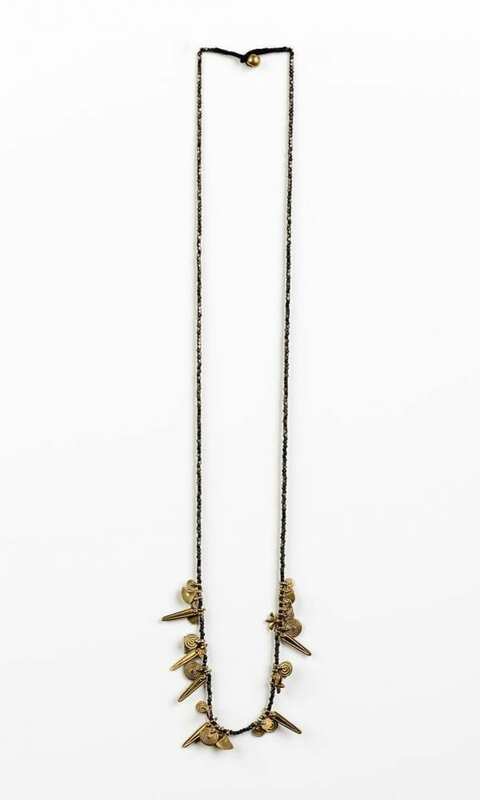 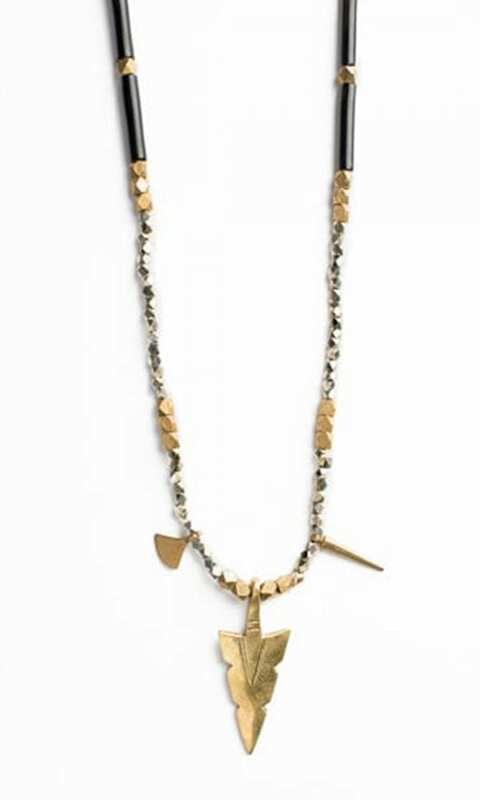 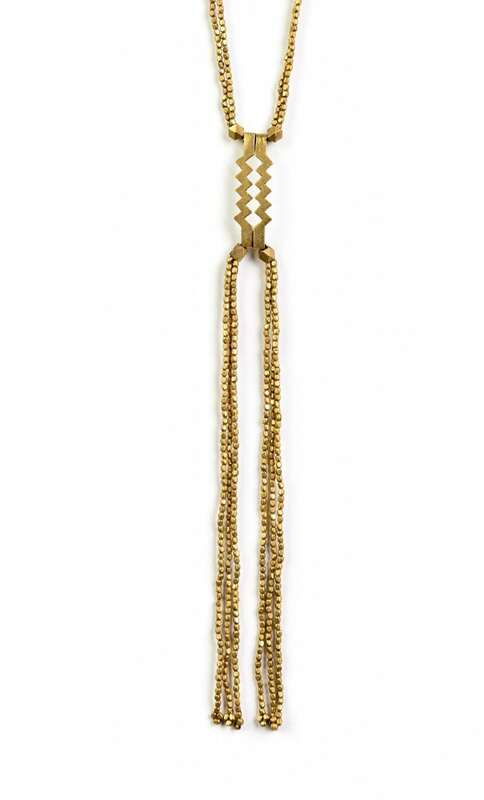 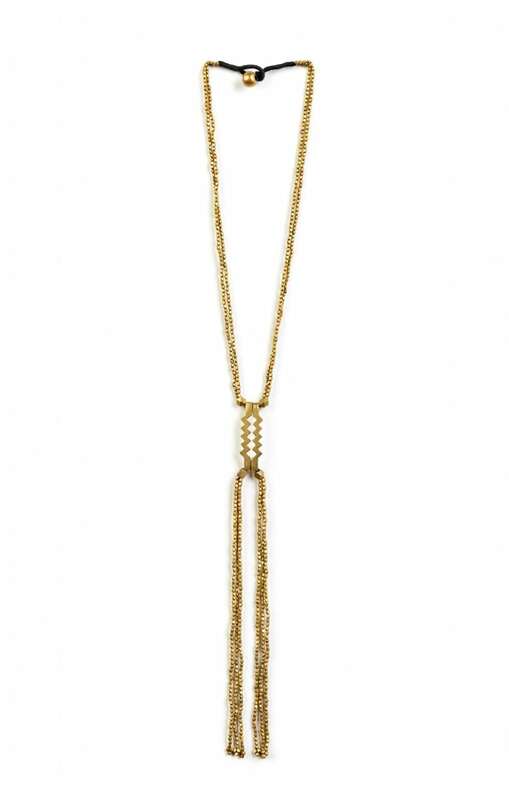 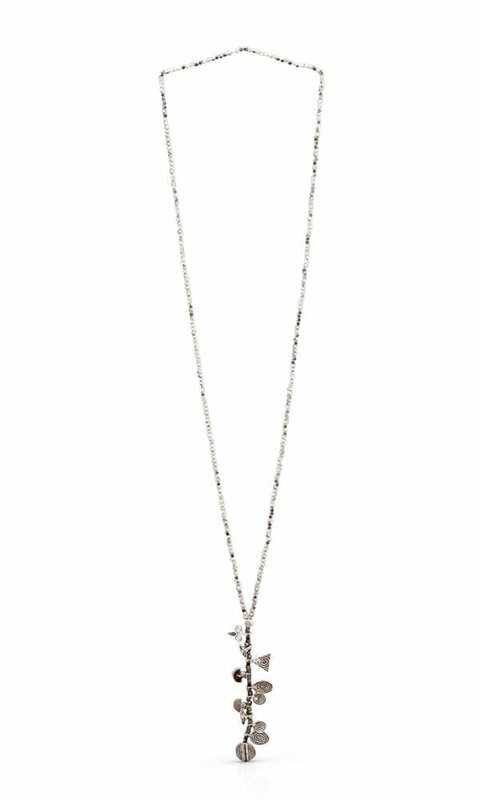 The Riki Necklace is available in two colors: gold-tone, silver-plated.